Gratitude Room at MONATions inspires thousands! This year is a special one for our MONAT family, because for the very first time at MONATions we had our own Gratitude Room! Market Partners came together to join the movement and make a positive impact in Washington D.C. while also pledging volunteer hours and to have an impact in their own home communities. Each visitor that completed the activities in the room was also treated with a Gratitude Journal to use as a tool when beginning daily gratitude practices. 2018 MONAT Hero, Jennifer Dekezel is announced during the Dream Bigger Gala at MONATions. MONAT Gratitude takes action in Washington D.C.
Watch our video now to see the big announcement! MONAT staff in the U.S. and Canada send children back to school in style! The U.S. team “adopted” 100 children through the Salvation Army to shop for back-to-school supplies for them and the Canadian team joined the efforts providing more than 30 back packs to the local Salvation Army chapter in Toronto. MONAT Gratitude believes in creating connections and through our six-week summer “camp” we brought together two wonderful charities to make a difference – Little Revolt, a nonprofit theater organization that teaches children creative new ways to express themselves, and Lotus House, a homeless women and children’s shelter in Overtown, Miami. Which recognizes the efforts of companies that have made a profound difference in communities across the country. 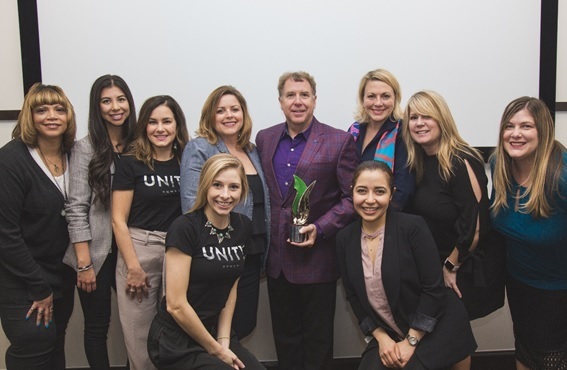 MONAT Global USA staff came together with the entire Alcora Corp. family for a day of team building, comradery and fun. One of the highlights of the day was the Executive #DonatetoDunk tank where employee embraced the opportunity to donate for a chance to dunk some of their favorite executives! And YES, CEO Rayner Urdaneta and MONAT President Stuart MacMillan participated too! 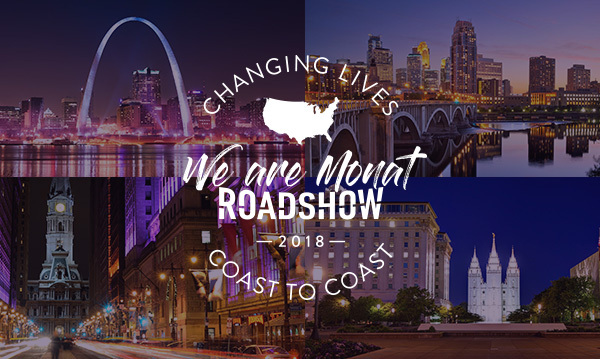 The We Are MONAT Roadshow visited 20 cities across America where current and potential Market Partners could mingle, network and learn more about the MONAT business opportunity. At each Roadshow event, we partnered with a local charitable organization to collect donations from attendees. The support was overwhelming, with over 550 lbs. of food donated, $1,000 in school supplies collected and over 500 household care items generated for partner organizations. #DoSomethingforNothing, a movement created by Joshua Coombes, who cuts hair for the homeless across the globe, this movement inspires others to give back to their local communities. Members of our #MONATGratitude team took action with Joshua by sitting down with local homeless men and women in Miami, providing free haircuts, meals, and just listening to what they had to say. The UK Gratitude Squad runs for a cause as part of the Colour Run! All proceeds support The Toy Project. for nonprofits that benefit veterans in the U.S., Canada and the U.K.
2017 MONAT Hero, Amy Marino is announced during the Dream Bigger Gala at Leadership Summit in San Francisco, CA. Read more about Amy & all of our MONAT Chairman’s Award winners here. This year's More than a Race 5K not only had a gorgeous scenic backdrop and super enthusiastic teams...it also raised over $25,000 - 100% of which went to the Salvation Army because MONAT Global covered 100% of the expenses! Enjoy this great video that captures some of the amazing highlights! Sponsors annual Iron Sharpeners Run for the Dream to benefit the Dream Center of Tampa Bay. In honor of men’s health & cancer awareness MONAT President Stuart MacMillan leads the effort. Over $30,000 donated to the No Shave November Foundation. MONAT Gratitude partners with the Estefan Foundation to provide hot meals, arts & crafts, live music to families in need on Thanksgiving Day. Today we’re volunteering with Feeding South Florida, the leading domestic hunger-relief organization in the region, to host a Mobile Pantry in one of the areas affected by #HurricaneIrma. Watch our #GratitudeSquad in action! MONAT Gratitude volunteers come together annually to celebrate Chairman Sr. Luis’ birthday wish to make a difference and give back. More than a Mist supporting Ecuador’s Earthquake relief efforts. With a dream to make a positive impact in our communities and to “change the world”. With Nine products in the premium haircare space. Follow us @MONATGratitude Official on Facebook and Instagram Share your Gratitude using #monatgratitude, and see what people are saying! We’re Making Gratitude a Way of Life!